"Let it be said at the outset that Welitsch's portrait of the Princess of Judea continues to fascinate and, in its peculiar way, to enchant. 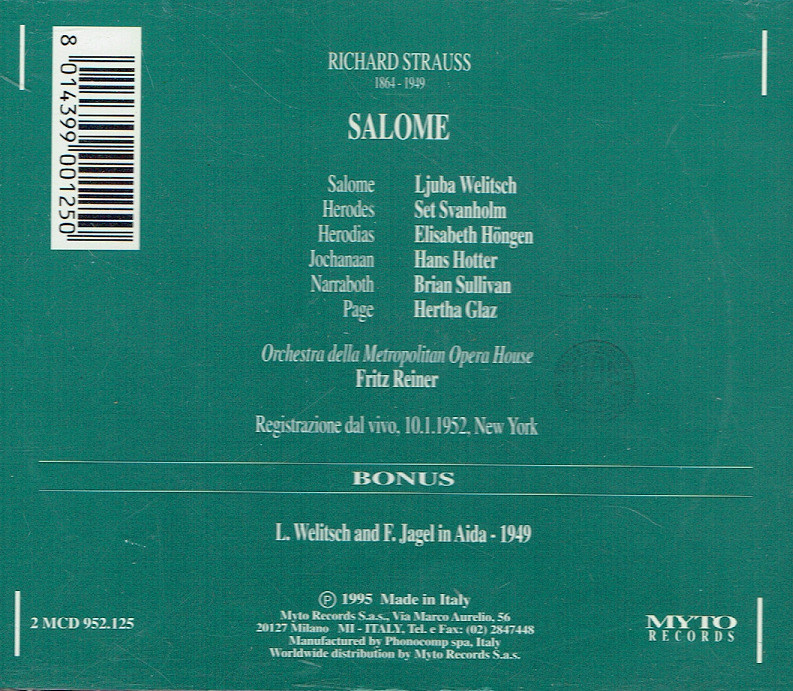 Her Salome remains remarkable both for vocal flexibility and dramatic force. 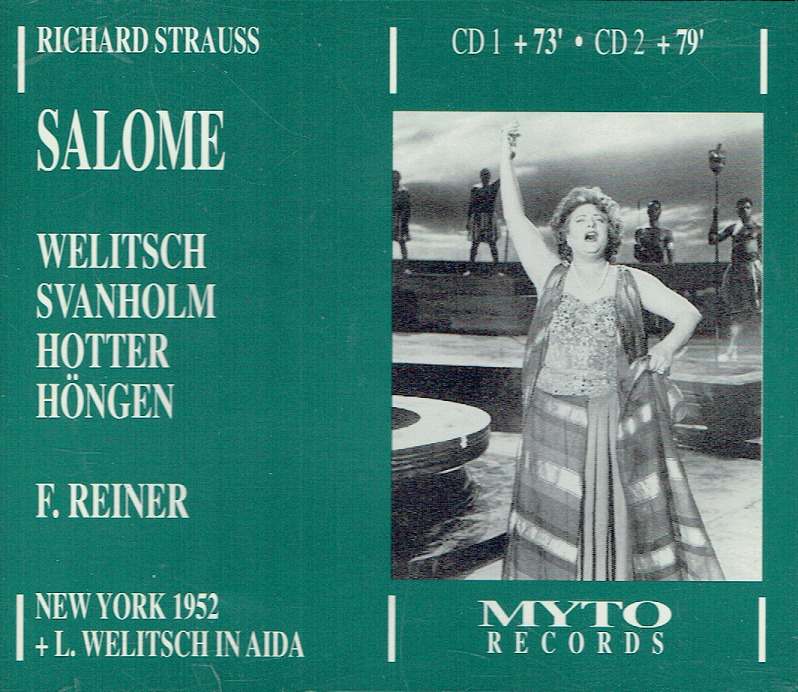 She owns the ideal Salome voice, its silvery stream girlish when need be, but incredibly suggestive when it counts. Many things remain to admire. 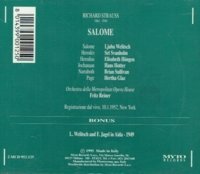 As the double basses sound their eerie notes and Salome hovers over the cistern, Welitsch's quickly ascending chatter captivates, and her whispered interjections fully convey Salome's pathological state. As the soprano comes before the gold curtain to bow, Cross tells us the Welitsch, with her 'shock of red hair' certainly is a tigress in this role, and right he is.....Hans Hotter's Jokanaan is the dominant portrayal of the afternoon. The intensity of his utterance and the emotive charge of his timbre immediately suggest the prophet's zeal and potency....Reiner's reading of the behemoth knows no blemish." "...the [Welitsch] voice has everything in it. It has the brilliancy and edge needed for the Straussian climaxes. It has colors and richness of timbre in the lower registers. Miss Welitsch is a musician and an interpreter of flaming temperament who has the part absolutely in her hand. She is an actress of individuality and power."